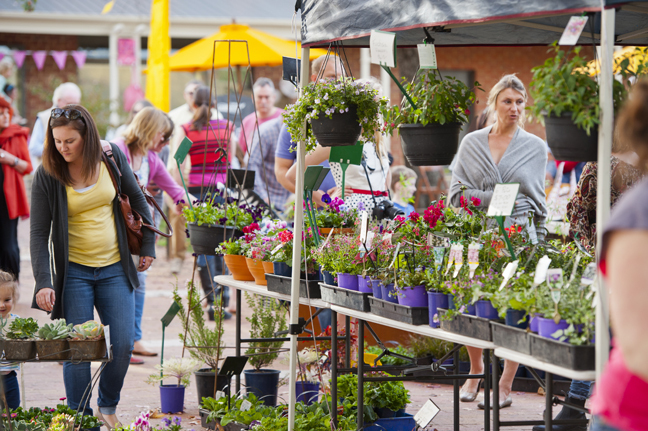 An excellent range of markets in the Adelaide Hills offers something for everyone - from fresh produce and gourmet artisan goodies, to unique fashions, plants, and gifts lovingly handcrafted by local artists. Please check market websites and/or Facebook pages for times and special closures as these are sometimes subject to change - especially for the smaller markets. Stirling Market, Stirling - fourth Sunday of each month (the third in December), 10am-4pm. 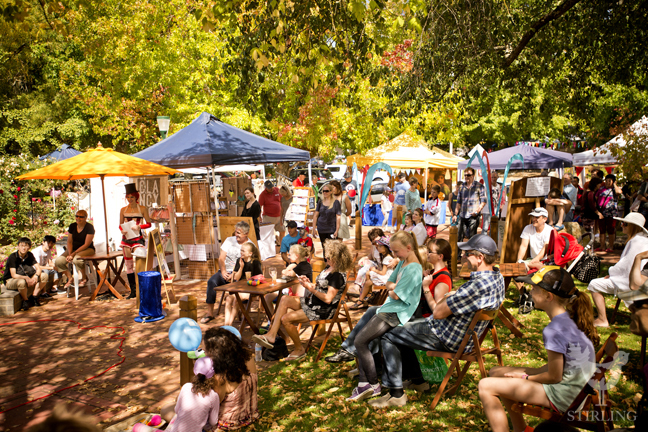 Stirling is home to one of South Australia's most popular street markets (Druid Avenue) which has an excellent range of stalls selling everything from homemade pies to fashion, plants, jewellery and second-hand books. 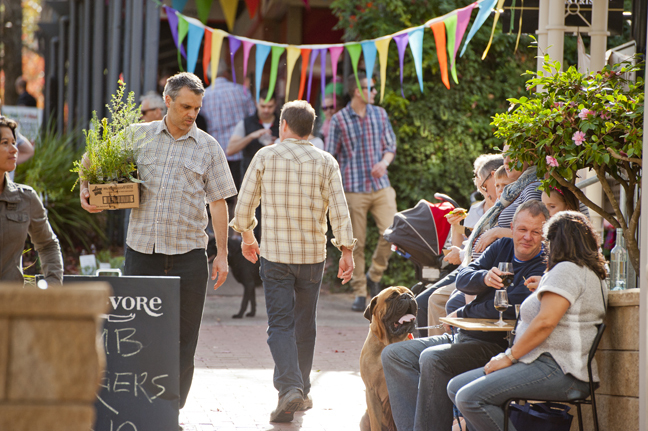 Stirling Laneways runs concurrently with the Stirling Market from September to April (fourth Sunday of each month and the third in December, 10am-4pm) featuring food, entertainment and pop-up stalls in the laneways and side streets of this beautiful village. 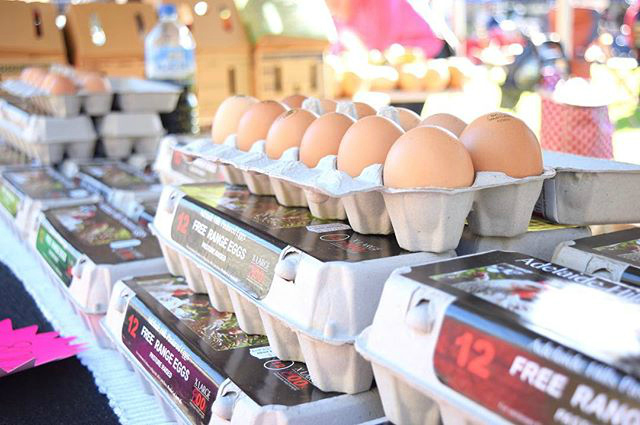 Adelaide Hills Farmers Market, Mount Barker - Saturday mornings 8:30am-12:30pm (except Easter) - Fresh, seasonal and local products, sold by the people who produced it. 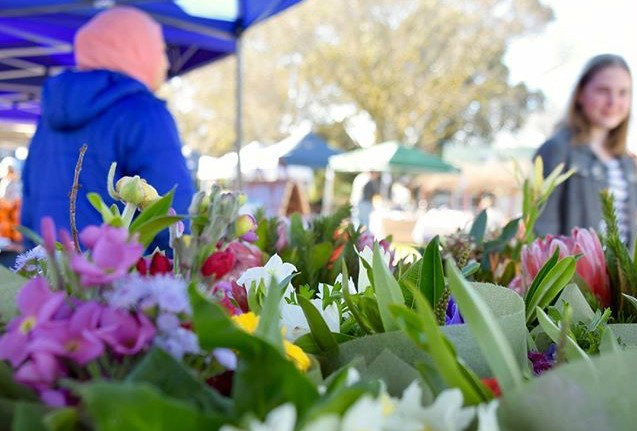 At this outdoor market on Mann Street you'll find fresh produce, baked goods, honey, olive oil, eggs, meat and fish, plants, flowers, fruit juices and products, coffee and entertainment. 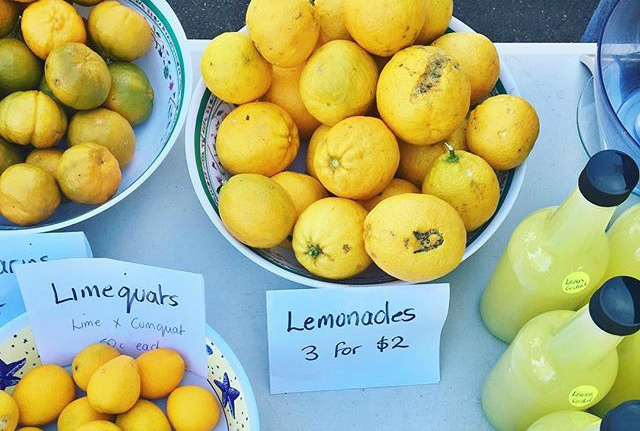 Mount Pleasant Farmers Market, Mount Pleasant - Saturday mornings 8am-12pm. Artisans, growers and producers offer a good choice of fresh, seasonal produce plus delicious local fare such as fresh baked goods, honey, olive oil, eggs, meat and seafood, plants, flowers, fruit products, wine, salts and spices, cheese and milk, coffee and entertainment. The market is held at the Mount Pleasant Showgrounds in the Show Hall and adjoining grassed areas. 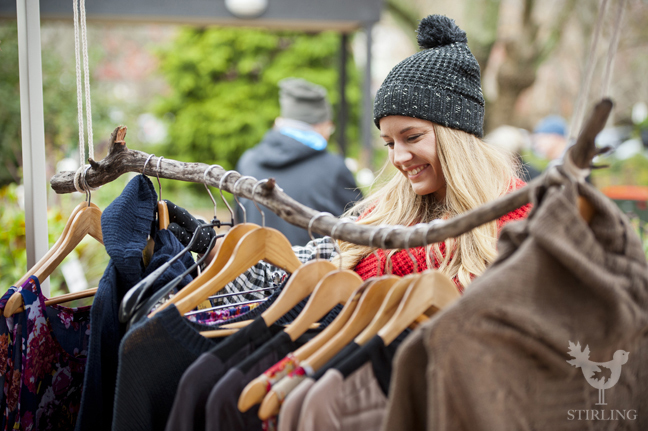 The Gumeracha Fifth Sunday Market is an artisan and handmade craft market held in Gumeracha’s Federation Park.The Market is open from 10am–2pm on the months where there are five Sundays (between February and November only). Dates for 2019 are 31 March, 30 June and 29 September. Uraidla Market, Uraidla - first and third Sunday of every month 10am-3pm. Held in the Uraidla Institute building, the market offers fresh produce, preserves, gourmet food, jewellery, pottery, plants and cut flowers. 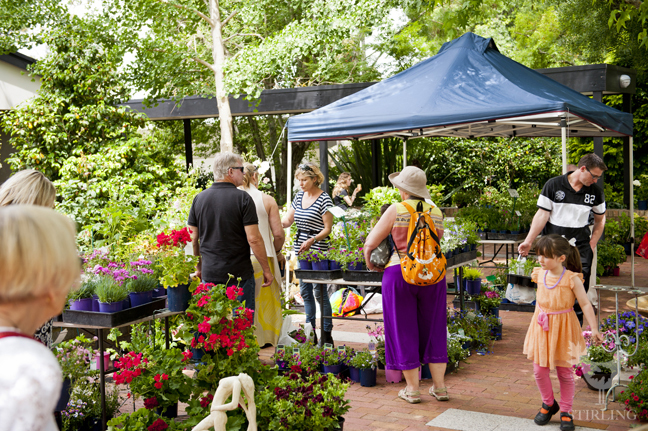 Meadows Country Market, Meadows - second Sunday of each month, 9am-3pm. You can expect to find a wide variety of products including local fresh produce, gourmet and hand-made foods, antiques and collectibles, crafts, books, jewellery, tools, plants and flowers, toys and skincare. 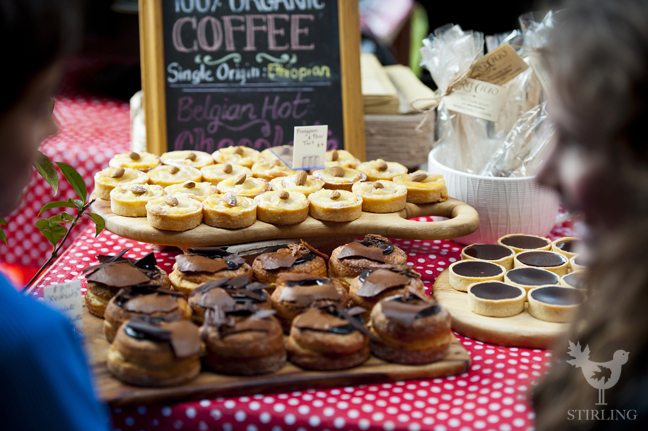 The market is held in the Meadows Memorial Hall and car park.